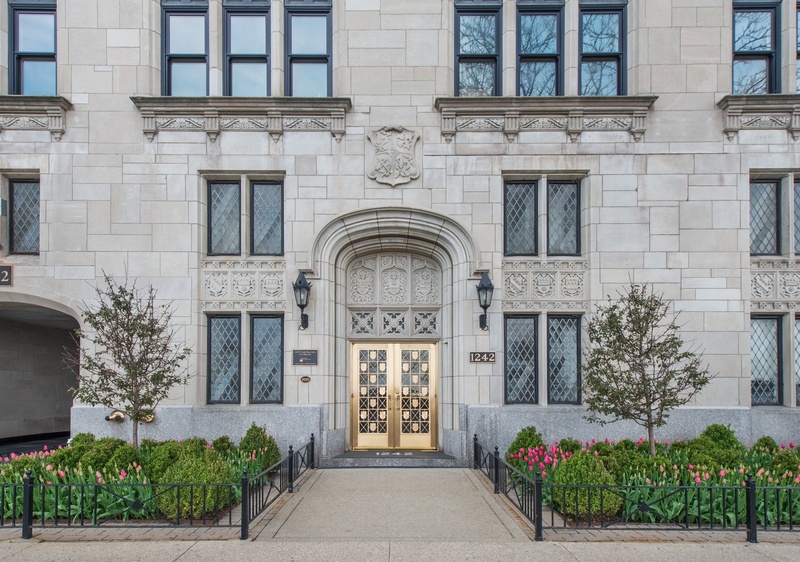 This sophisticated Lake Shore Drive Co-op provides unparalleled service. The apartment offers views of Lake Michigan, North Avenue beach and Oak Street beach from the living room, dining room, master bedroom and master bathroom. The main living space include high ceilings and traditional millwork. A wood-burning fireplace adorns the living room. You will enjoy three generous sized en suite bedrooms as well as a nursery/office space. All 5 bathrooms have been recently remodeled. The kitchen was updated with white Carrera marble counter tops and marble back splash, Viking refrigerator, Viking range, bosch dishwasher, and a U-line wine refrigerator. Newer custom Kolbe and Kolbe windows are located throughout. Full sized, front loading washer and dryer are in the unit. The building staff delivers mail, packages and groceries dropped from your car in the porte-cochere and removes trash from right outside your back door. This is a premier full service building. Pet friendly. Property information last modified by seller on Tuesday, April 02, 2019, 10:10 PM CDT. Information Deemed Reliable But Not Guaranteed. Unauthorized duplication, use, or linkage is prohibited. The information on this web site is for personal, non-commercial use and may not be used for any purpose other than to identify prospective properties consumers may be interested in purchasing. Monthly Payment Calculator results are for illustrative purposes only, not a financing opportunity; calculations assume a 30-year fixed-rate mortgage and do not include closing and other costs. Property Tax on NEW properties is estimated at 1.5% of Listing Price for payment calculation purposes; actual value may be higher or lower.